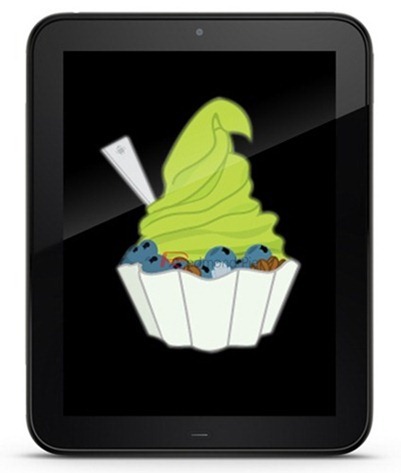 We’re getting closer and closer to a stable port of Android to the HP TouchPad, folks! A video uploaded today shows that the developers behind the TouchDroid project have managed to achieve another one of their objectives: the ability to dual-boot webOS and Android 2.3.x “Gingerbread”. The news comes from Android developer forums RootzWiki – the home of the TouchDroid project (which aims to port Android to HP’s now discontinued webOS-based TouchPad tablet). In the video uploaded by user fnj001, we see developer rhcp’s TouchPad first booting into Android 2.3.x “Gingerbread”. The device is then restarted and proceeds to boot into webOS. Touchdroid is glad to bring you our first demo video. Sorry, For the long wait, We wanted to show you our full progress so far. -What is working as of now? This dual-booting feature will solve one very critical issue for users who wish to keep on using webOS while trying out Android 2.3.x “Gingerbread” and – later on – Android 4.0 “Ice Cream Sandwich”. webOS, of course, is a very capable operating system whose only fault, perhaps, is a weak third-party developer ecosystem: HP/Palm never managed to interest developers which eventually resulted in the death of webOS. A healthy apps catalog is very important for smartphones and tablets in today’s world where the gadgets like the iPhone and iPad have over 500,000 apps available for users to try out. The build of Android which the TouchPad boots into is unstable at the moment and nothing really works. Developers have stated that their first priority is to get the touchscreen working, after which they will focus on optimizing everything else.